Do you fully understand your culture and how it’s impacting performance? Are you managing a clear journey to effectively evolve your culture with a direct and sustainable impact on performance? There aren’t many leaders that can confidently answer “yes” to these two questions. We see culture tips and advice at every turn that range from superficial to endlessly complicated. If you are like me, it’s hard to understand what to believe. It’s very important for leaders and change agents to learn from the culture pioneers and experts in this evolving field. Human Synergistics, therefore, convenes an annual Ultimate Culture Conference to bring visibility to important insights from culture trailblazers and progressive leaders. We are especially aware of our culture when we need to adapt or change. Our world is growing in complexity. The need for rapid change and adaptation is clear, but most leaders don’t understand how culture is driving the behavior they see in their organization and the related outcomes. Rob Cooke, CEO of Human Synergistics, shared this important insight: “We all view the subject of culture from our own perspective, and the word has nearly lost its meaning.” Rob believes a language for culture and its measurement is important because it gives people a way to organize their thoughts around the concept. “I decided to focus on behavioral norms because, even though they are somewhat invisible, they are the more visible aspects of culture when you define it in terms of assumptions, beliefs, values and the like,” he said. These norms or “unwritten rules” are completely overlooked in most assessments and change efforts. So how do you begin to define a common language and measurement? This brings us to the third insight. Ed also talked about the “quick and dirty” assessments that have emerged in the marketplace. He encouraged change agents to understand what’s going on with the leader and why speed is so important to them. Find out what’s worrying them and why they won’t consider a more intensive and revealing probe. Tony Hsieh made a bold decision to deliver “WOW” through service with a move toward self-management. I am not raising this point to encourage others to make a similar leap because most organizations don’t have the customer-focused culture foundation of Zappos. I am raising it because even iconic culture companies realize culture is a dynamic thing that must evolve. Learn from their lead and change before you must. How are you intentionally evolving your culture to support your purpose and performance priorities? What bold decisions have you made to engage members throughout your organization in that journey? I recently toured Zappos and was amazed by how “WOW” service was being genuinely reinforced in literally countless ways that leaders could never directly manage. It is possible to preserve important cultural strengths while collectively engaging your organization to take the next major step. There are no guarantees, but a collective journey is far better than standing still or trying to manage improvements through command and control. Leaders must make the bold decision to evolve the culture, but that doesn’t mean they make all the decisions about what that evolution will look like. Diversity and inclusion are critical. We convened a diversity and inclusion panel at the conference to probe this important topic. Consistent involvement and encouragement are critical for connecting all team members to the improvement journey and to make better decisions as a team. It may be difficult for leaders to apply the insights above (and others) in ways that clearly deliver business results and, ultimately, evolve their culture. Thus, it’s important to understand two additional insights from culture pioneers. 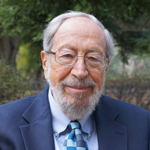 Edgar Schein has emphasized that “culture builds through shared learning and mutual experience.” It’s a group thing, so it’s critical to engage leadership and all team members on a common journey to accelerate learning and deliver results. Rob Cooke has highlighted that “culture is transmitted through climate factors and behavioral norms.” The current culture is reinforced in countless ways leadership does not fully understand, so that’s why a thorough assessment and thoughtful improvement plan are needed. Focus your efforts on specific problems or outcomes you need to improve. The focus on clear priorities (customer experience, growth, quality, etc.) will allow you to facilitate improvements faster than general “culture plans” and the connection to performance is clear. The entire team will learn from the focused work together and those learnings will naturally be applied to other problems and targeted outcomes. Understand how culture and climate are impacting work on the priorities you select through a thorough qualitative and quantitative assessment. This isn’t a “quick and dirty” assessment, but rather a full MRI to understand the shift in norms and underlying assumptions that are needed in your culture. You will also identify the climate factors (systems, structures, etc.) that are causing these cultural attributes to be so deeply entrenched. Make a bold decision to engage members of your organization in a common journey to adjust current strategies and plans for the areas you target in number 1 above. Don’t create a separate culture plan. Adjust how you engage leadership and the broader organization in improvement plans so you overcome major cultural obstacles and effectively leverage Constructive aspects of your culture. Help leaders and managers at all levels understand how their behavior is reinforcing the current culture. Top leaders must go first to learn about this impact and adjust their approach because the “shadow of a leader” is incredibly influential. Intentionally re-engage groups in meaningful ways at defined periods to adjust plans, accelerate results, and drive learning across the entire team. Most organizations can effectively cover numbers 1 through 3 in as little as 8-12 weeks. Launching the improved engagement and collective problem-solving approach isn’t easy, but it can be managed in a relatively short period. Leaders inevitably find out why their “hidden organization” is so deeply entrenched and how their own behavior is reinforcing the current state. Numbers 3 and 4 require an ongoing commitment to an individual and collective learning journey to support your purpose, strategy, and performance priorities. Don’t depend on only your current knowledge about culture to manage this important journey. Ignore the superficial, oversimplified solutions that dominate most blogs and the popular press. Seek out other ultimate culture insights from pioneers and experts that have repeatedly and successfully managed this journey. Learn from their experience and do something that is serious, diligent, and impactful as you support your purpose, collectively solve problems, improve performance and, ultimately, evolve your culture. Special Opportunity: Discover more culture insights from Marshall Goldsmith, Rob Cooke, Ed Schein, and others at the next Ultimate Culture Conference. Network with and learn from the brightest in leadership and culture at this one-of-kind, interactive learning event. 1 Bersin, Josh. “Digital Leadership Is Not an Optional Part of Being a CEO.” HBR.org. Harvard Business Review, 10 Dec. 16. Web. 2 Cooke, R. A. and Szumal, J. L. (2000). “Using the Organizational Culture Inventory to understand the operating cultures of organizations.” In Neal M. Ashkanasy, Celeste P.M. Wilderom, Mark F. Peterson (eds. ), The Handbook of Organizational Culture and Climate, Thousand Oaks CA: Sage Publications, pp. 147-162. 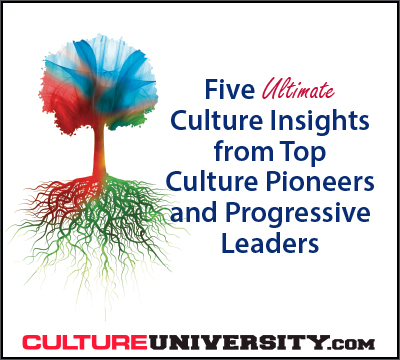 Tim Kuppler is the founder of Culture University and Director of Culture and Organization Development for Human Synergistics, a 40+ year pioneer in the workplace culture field with the mission of Changing the World—One Organization at a Time®. 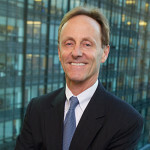 He leads collaboration and partnering efforts with culture experts, consulting firms, industry organizations and other groups interested in making a meaningful difference in their organization, those they support, and, ultimately, society. 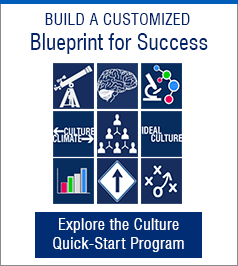 He authored Build the Culture Advantage, Deliver Sustainable Performance with Clarity and Speed, which was endorsed as the "go-to" resource for building a performance culture. He previously led major culture transformations as a senior executive with case studies featured as part of the 2012 best-selling book – Leading Culture Change in Global Organizations. 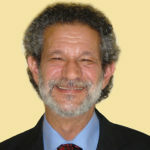 He was also President of Denison Consulting, a culture assessment and consulting firm. 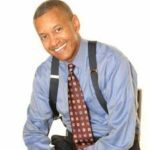 He is an accomplished speaker and recognized as a Top 100 leadership conferences speaker on Inc.com. His 20 years of culture and performance improvement experience includes the rare mix of executive leadership, coaching, and consulting knowledge necessary to help leaders quickly improve team effectiveness and results as they focus on their top performance priorities, challenges, and/or goals. 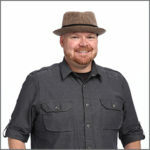 He networks extensively in the workplace culture field in order to learn and apply the latest insights from many experts. Email him to learn more about options to help you understand and evolve your culture with a direct and sustainable impact on performance.